Another active location, another hot bank of pole pigs dutifully converting voltage. 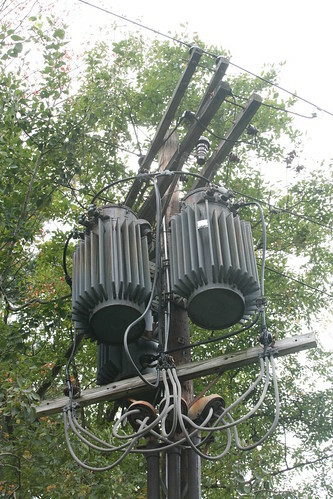 Despite that transformer losses are a significant cost, these large pole pigs hummed along loudly. When the electricity stays on, you know someone is still nearby.